Autonomous Warrior 2018 at HMAS Cresswell provides a forum to demonstrate the potential for autonomous systems to support future Defence operations. 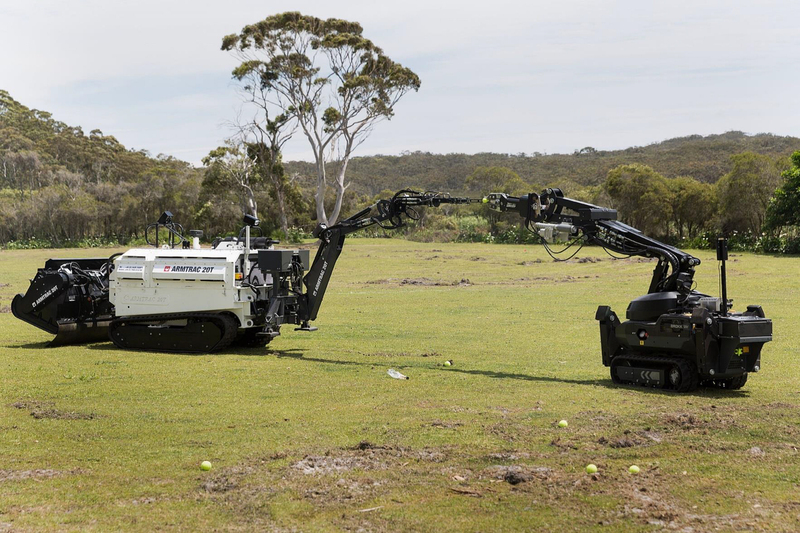 EPE has been at the forefront of delivering protective equipment and unmanned systems to ADF to keep our soldiers at a safe distance from explosive hazards for 2 decades. As unmanned and autonomous systems develop rapidly, we are providing innovative solutions for Protected Route Clearance and Neutralisation to protect our soldiers from IED’s. Our medium term plan is focused on enhancing our recent capabilities developed through the Defence Innovation Hub and further developing our Australian Industry Capability through advanced manufacturing of some of these capabilities. At Autonomous Warrior 2018 (AW18), EPE demonstrated the Armtrac 20T Robot for conventional demining, Explosive Ordnance operations and Counter-IED operations. The platform is flexible and scalable and provides forces with improved mobility. The system is sufficiently robust and agile enough to move across country and provide a surrogate scout for dismounted foot patrols; in this role it would enhance situational awareness and stand-off detection of threats. However, in mechanised operations, it could equally be transported on a standard 3.5 tonne trailer and be prepared for operations within minutes of identifying a potential threat for survey, investigation or render safe. EPE also displayed the MESMER™ Counter Drone solution at AW18. MESMER™ uses Protocol Manipulation to detect, identify and mitigate drones. Unlike other systems that employ kinetic effects or radio jamming, which can have indiscriminate secondary effects, MESMER™ is a low power system, operating below 1 watt and within ACMA regulatory constraints. It only affects targeted drones without impacting other nearby communications systems. The MESMER™ counter drone system is currently installed at a sensitive and confidential critical infrastructure site in Australia.